Asia remains to be the market that needs to be fully tapped in order to speed up the rate of Bitcoin adoption. Likewise, it presents a niche that is filled with potential for the Bitcoin gambling sector to prosper, much like how it is now in Europe. While Bitcoin entrepreneurs believe that the region will be generally friendly to the digital currency, the result is yet to be seen. This is the reason conferences like the Bitcoin Expo 2014 in Shanghai plays a vital role in this endeavor. Set to kick off on Sept. 19, Friday, with a networking party, the latest Bitcoin event in China will run for three days in Lake Meilan International Convention Center. Days 2 and 3 will highlight the main agenda of the expo as speakers from various Bitcoin industries and fields in China and in other countries take the center stage to discuss a range of topics, including Bitcoin technology, innovations, investments, trading, security, and of course the future of Bitcoin in Asia among others. Notable speakers include Sergey Nazarov of NXT, Jacob Henson of Crowdcurity, and Rich Teo of itBit. Bitcoin Magazine and Eiger founding partner Vitalik Buterin will also grace the conference, along with Chinese law expert Nathan Kaiser to complete the list of more than 50 speakers. Aside from the panels and speeches, Bitcoin Expo 2014 will also give the floor to a total of 13 exhibitors like SatoshiLabs, BTC Robot, Seoul Bitcoin, and Alcheminer among others. 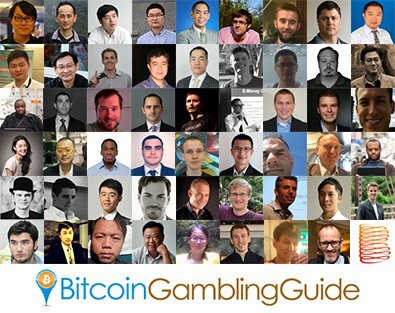 Although this conference will not be directly touching Bitcoin gambling, the areas that will be covered during the expo are all detrimental to the success of the gaming sector in the region. This event will also generate ideas, strategies, and the legal insights into setting up a Bitcoin business like an Bitcoin online gambling platform that runs on the digital currency. Entrepreneurs, investors, developers, legal professions, students, and everyone who wants to learn more about Bitcoin are welcome to the Bitcoin Expo in China this year. Tickets can be bought using Bitcoin, Dogecoin, Litecoin, and other cryptocoins, as well as the conventional payment methods like credit cards.